Happy Holidays from The Daily Connoisseur! We (that is, Gatsby and I) wish you a healthy, happy and prosperous 2012. In this new year may you follow your instincts and dreams, turn the mundane into the extraordinary and infuse passion into every aspect of your life. Thank you for being such an integral part of this blog and thank you for making my book Lessons from Madame Chic such a great success in 2011! I will be taking a mini holiday break from The Daily Connoisseur but will resume posts and videos on Monday, January 2nd. Downton Abbey, Holiday Musings and A Winner is Announced! I can't believe Christmas and New Year are just around the corner. I had lofty ambitions of doing seasonal posts here on The Daily Connoisseur. I was going to share with you my favorite holiday candle (which, incidentally is Voluspa Goji & Tarocco Orange). I was going to make holiday cookies and homemade fudge (I still plan on doing this- probably on Christmas eve). I was going to work on a spectacular holiday floral arrangement and perhaps shoot a YouTube video on how I did it. Ah, these were all lovely thoughts. But the reality of this holiday season is slightly different. Our Christmas tree only has ornaments on the top half of the tree because my baby daughter has an obsession with tearing down the ornaments and eating them. Rather than making a gingerbread house we have a life sized cardboard gingerbread house where Gatsby and baby like to stash various important items (like my keys and mobile phone), and being pregnant with my second child has rendered me quite exhausted come evening so even the thought of making dinner seems daunting, throwing all rose colored thoughts of baking cookies and making fudge out the window. Yes, the joys and chaos of daily family life have taken over! I am not going to fight the current up stream- I am letting go of the oars to join in with the blissful havoc. 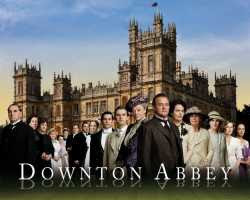 Before the end of the year I wanted to mention the wonderful Masterpiece series Downton Abbey. My friend Romi turned me on to this first rate show- PBS aired it this year and the first season is now on DVD. I'm sure many of you have already seen it but for those of you that haven't- it is a must see series. It is a British period drama (which I have a particular weakness for) with an amazing cast and an even more enthralling story line. I mention it now because the second season is airing in America on PBS on January 8th. Television rarely gets me excited but I am setting my DVR and cannot wait to see what the second season brings. Tatiana Ch (TatiKto) from Mexico City! Congratulations Tatiana! Please email me your shipping address so I can pass the information on to Skindinavia. Enjoy your makeup setting spray. 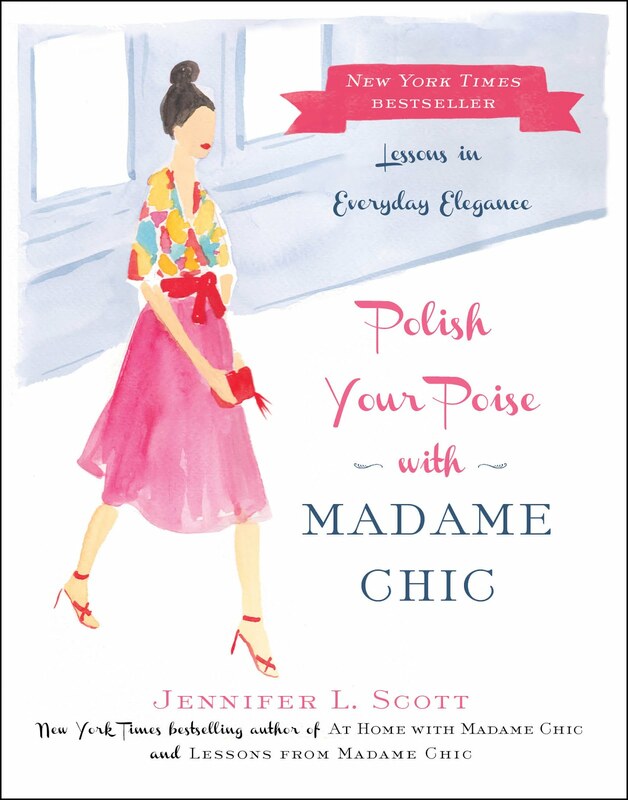 My book, Lessons from Madame Chic, was mentioned on two fabulous blogs this week. The lovely Fiona at How to be Chic wrote a great review. As did the delightful LR at Magnificent or Egregious. Both are wonderful blogs that are on my reader list- I hope you love them too! 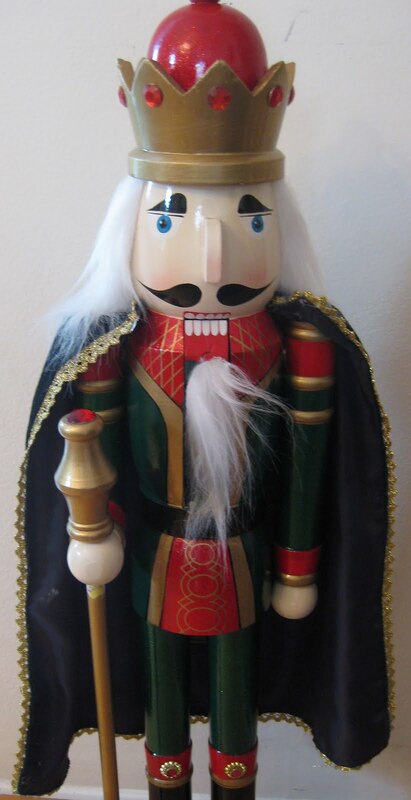 Our favorite Christmas nutcracker is pictured above. Ever since I reviewed Skindinavia finishing sprays on The Daily Connoisseur I have been hooked on using their finishing spray after every morning makeup application (no matter how minimal my le no makeup look is). A good finishing spray keeps your makeup in place for up to 8 hours- eliminating the need for touch-ups throughout the day. Well Skindinavia has kindly offered to give away one of their best selling finishing sprays for winter, the Moisture Lock, to one lucky reader of The Daily Connoisseur! The contest is open to everyone (not just the United States). - In your comment please let me know how you follow The Daily Connoisseur (follower, email subscriber, kindle subscriber, twitter follower or YouTube subscriber). 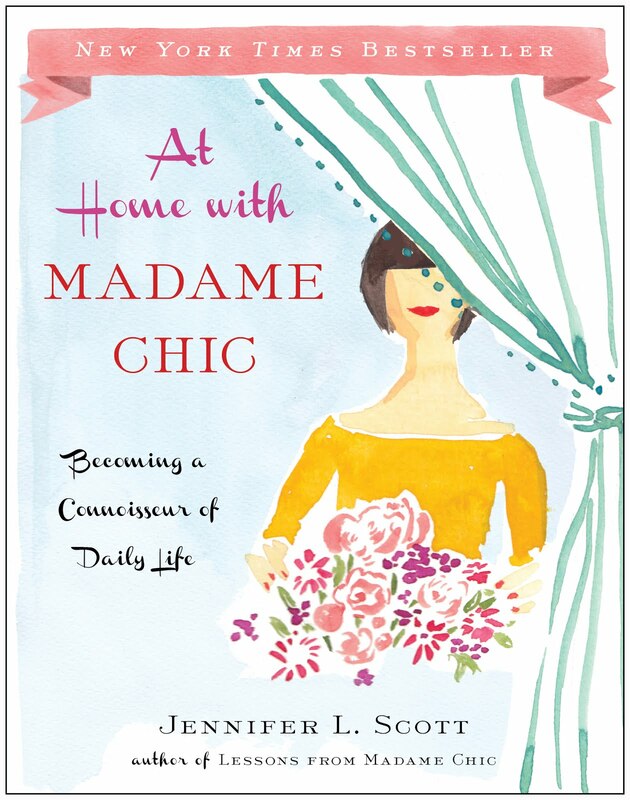 - As a bonus, those that have read and reviewed my book, Lessons from Madame Chic, on either Amazon.com or BN.com will be entered twice in the giveaway! So please let me know. - And finally unless you have a very unique online name, please leave me your first and last name (or last initial) so that I can properly enter you into the giveaway. I will announce the winner this coming Monday. Best of luck! And now on to a new beauty recommendation I have for you... my favorite new setting powder. After reading great reviews about this product on Sephora.com I decided to purchase this powder in the store and have been very pleased with the results. **As a side note, a little goes a long way with this powder. Do not use too much or you might experience a powder faux pas when in front of flashing cameras as we have seen on some Hollywood starlets recently on the red carpet. Thank you to YouTube viewer thedodgerdog22 for mentioning this. I wore this powder on Thanksgiving where we took lots of pictures and turned out great in all of them, but then again I use very little on my powder brush! And lastly, Skindinavia is doing their own very fun contest this week called Backstage Beauty Access. Click here for details. I’ve been getting a lot of emails from readers lately that all have something in common- they are happy to have found an online community of people (us!) that share their quest to lead a more refined and elegant life. We are a dying breed after all. We believe in etiquette, manners, traditions, and formalities. We want only quality in our lives- from our experiences to the things we possess. 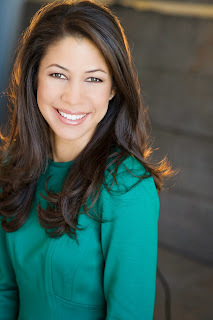 We are not interested in the rat race or keeping up with the Joneses. We are interested in taking pleasure in the small things, in clearing out the clutter of our lives and evolving each day. We want to not just exist, but to thrive. I am so grateful to be a part of this community with you on The Daily Connoisseur where we can explore the very intricacies of these things together. Thank you for all of your emails, comments, tweets and postings- I read every single one. 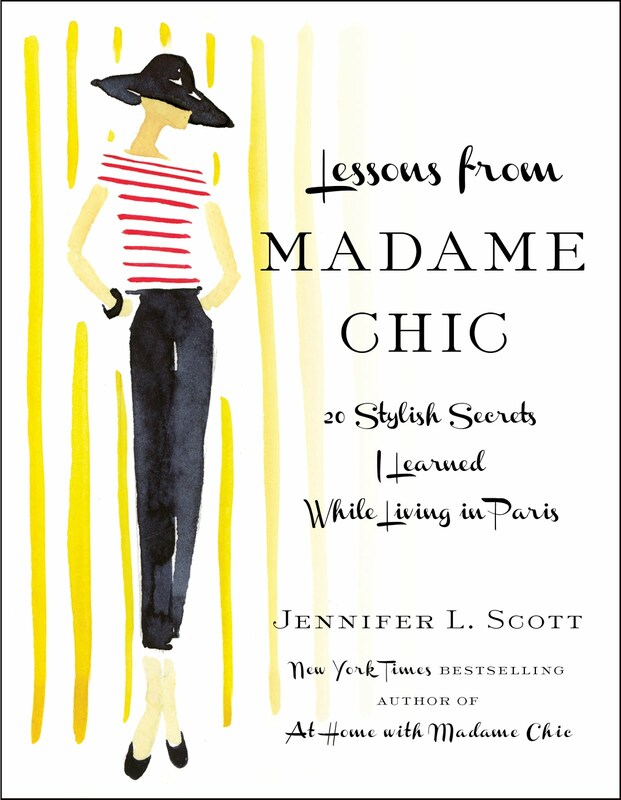 I was interviewed by CNN.com this week for my book Lessons from Madame Chic: The Top 20 Things I Learned While Living in Paris! Check out the article by clicking here. My makeup brush collection has always been a bit of a motley crew. When I started wearing makeup I started with Bare Minerals (still wear Bare Minerals 50% of the time) so most of my makeup brushes were mineral brushes. I take really good care of my brushes and make sure to shampoo them once a week (Sundays, for those that were wondering) and so some of my brushes have lasted as long as 5 years and are still going strong! But the problem was I was also using my mineral brushes for non-mineral makeup application and wasn’t getting a very good result. But something in me resisted purchasing regular brushes. I had a few here and there but never a comprehensive set. So my makeup brushes, mineral and non, were all stored haphazardly in a bag making my morning le no makeup look application a bit confusing. Then I got a 20% off coupon to Sephora and I decided to finally buy myself a comprehensive set of non-mineral makeup brushes. 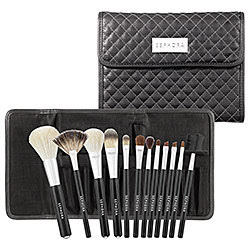 I bought the Sephora Prestige Makeup Brush collection that comes in this pretty charcoal quilted carrying case. The brush set is very complete and contains every sort of brush one would need for applying makeup. The handles are strong and there is a little rhinestone at the base of each brush, which adds a nice glamorous touch. The great thing about getting your brushes in a set, is you usually get quite a good value for your money. This set sells for $125 but the value of all individual brushes concerned is around $325. (And if you can use a coupon like I did and save even more, all the better). Also I plan on taking great care of these brushes as well so they will hopefully last at least five years and beyond! **Also my friends at Anytrip.com are doing a giveaway this week on their blog for a Free trip to London! Click here for details. Good luck!